Years ago, my friend Cyndi opened a café in a trendy area of Melrose, here in LA. This is how I first discovered the true delight of kale. One of the dishes Cyndi served at the restaurant was kale salad. Before I even made an appearance at the new spot, my other friend Jan talked endlessly about it. “You’ve just GOT to try the kale salad!”. Now, prior to actually trying this salad, I never liked kale. Much like marathons, I love the idea of it, but the actual experience doesn’t live up to my mental expectation (which is why I will NEVER actually run a full 26.2 miles). The thing with kale is that it’s tough and kinda chewy and really doesn’t taste very good. However, when finely chopped in a food processor, the texture completely changes. It’s more crunch, less chew and well, it still doesn’t taste very good, but that’s where the dressing comes in. The key to making this salad a home run is all in the dressing. I like to keep it simple – chopped garlic, olive oil, a good balsamic and some lemon juice. 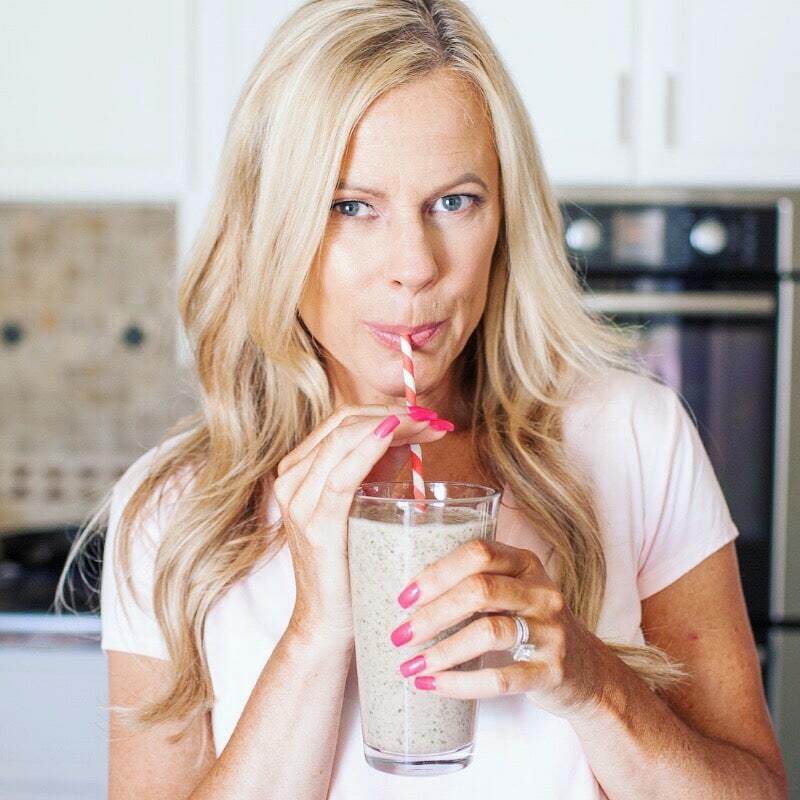 Cyndi uses shaved Parmesan – I use my non-dairy Parmesan, but go with what works best for you. Either way, you can’t go wrong. Here’s the full nanny…. You can prep a bunch or two of dinosaur or curly kale. It’s much heartier than lettuce, so it will keep all week. 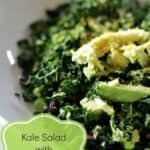 A perfect kale salad for people who can't stand kale (because this recipe is too awesome to hate). 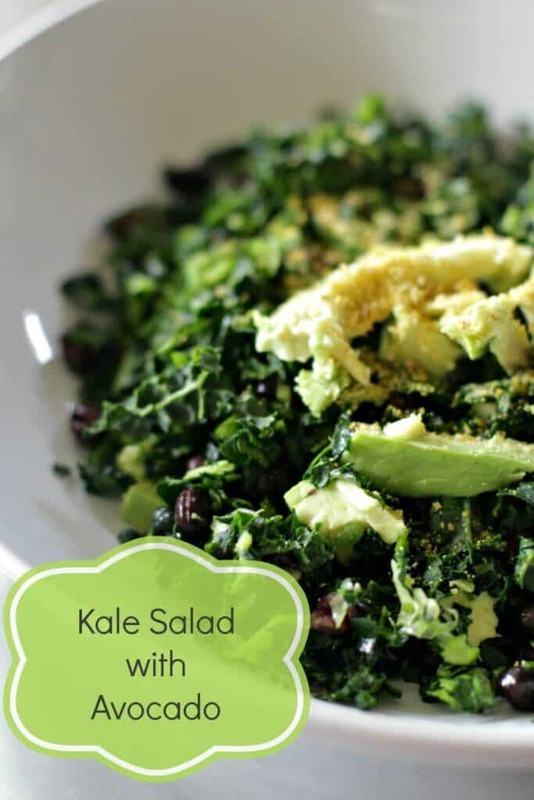 With a food processor, finely chop kale and move to a large bowl. Add garlic and green onion to food processor, finely chop and add to kale. Mix dressing together and add to kale mixture. I am not a kale hater, more like a kale lover. This recipe looks great! I usually drink my kale, but this salad sounds delicious.